On October 20th, 1981, I and fellow stylist Sara Ann Kizer, traveled to Queens, New York, and conversed in-depth with the world renowned hairstylist and product magnate, the late Paul Mitchell. Mitchell is best known for Paul Mitchell Shampoo, and Paul Mitchell Schools for Hairdressing. We spoke with him after a hair show for licensed hair dressers; where the star stylist holds court. The headliner was cutting hair, sharing new techniques, and products. This Paul Mitchell interview occurred during his comeback following a five-year hiatus in Hawaii, far away from the madness of the beauty industry. Before returning to hair, Mr. Mitchell became business partners with John Paul DeJorgia. Together, using modest means, they co-founded a small hair care product line specifically designed to be used and sold by hairdressers. Now called John Paul Mitchell Systems debuting in 1980. Sara and I sat down with Mr. Mitchell for a 90 minute interview, discussing everything from surfing, to hair, and Rock and Roll. Consummately intelligent, open, funny, and deftly observant, nobody knew at that time his business’s best was yet to come. TGNR Sara Kizer: So, you’re very busy? TGNR Philip A. DiCostanzo: Do you ever get sick of it? Paul Mitchell: Sick of what? TGNR PAD: Like working on a Monday night. PM: Monday night doesn’t bother me too much. Sunday doesn’t bother me too much. You get sick of always being away from what you call home. TGNR SK: So, where’s home? TGNR SK: Oh, really? What a nice place to call home. PM: I love it. It was the best move I’ve ever made. I moved right from New York to Hawaii five years ago. I didn’t even go to Honolulu which might have been an easy transition. I went to a tiny, little place called Wiamanalo, which is on the other side of the North Shore. TGNR SK: Do you surf? PM: No, I don’t surf. I like the water, and something called boogie boarding. TGNR SK: Yeah, that’s a great sport. PM: It’s easy and fun. I like to do it. Have you been to Hawaii? TGNR SK: No, but I know boogie boards. It’s a lot of fun. PM: Where do you do you boogie board? TGNR SK: I’ve been boogie boarding along the Atlantic coast. TGNR SK: How do you feel coming back to the States after being spoiled like that? PM: (laughter) It’s always good to come back. PM: Yeah, because it’s stimulating. You’re doing fashion. It’s like anything, if you do it too much, it becomes a bore. It’s like caviar, sounds wonderful, it’s a great thing you eat now and again, and it very expensive. But to have caviar every morning and champagne for breakfast, after a while you really begin to wonder if eggs and bacon sound wonderful, you know? So, call it… not sad to leave but always happy to get back. But New York is special, particularly for me, because it is the fashion capital. Certainly in America. It’s really in the hair business, I think, quite instrumental in its development. It’s called the English Mafia. So many English hair cutters – the fact that at one time it used to be called the brain drain – when they would get all the best hair cutters here. From Sassoon himself, and all the top cutters around at that time. With the Beatles, Mary Quant, and everything from England was very hot at that moment. TGNR PAD: How have things changed since then? I remember seeing you on stage in 1976 at The International Beauty Show in New York City. The place was packed, not a seat in the house. The show was high energy. How has it changed since that time? PM: Its hard to describe what is different about it, but it is different. There was a tremendous excitement about the time when – I want to call it – the rebirth of hair cutting took place, which was really Sassoon. All the people that are the super successful hair cutters now in America are people who were in Sassoon’s on Bond Street, London when it was a birth. Those people are Maurice Tidy, Roger Thompson, Charles Booth, Peter Green, Davian a.k.a. David Daines to name a few. These are all fine hair cutters that were all in London at that specific time. I’ve done hair shows now in the United States almost… How old is my son now? My son is eleven. So, 12 years? Maybe 13? TGNR SK: Do you plan to continue doing the hair shows? PM: Yeah, I don’t want to do as many now. I do too many. I’m working all the time. Which is not as important. It’s the rebirth I really feel. There is an excitement. A rebirth in hair sculpting. It’s another way to manipulate the haircut. With all of the haircuts that are basic, if it’s not cut well, it doesn’t matter how you pull it together, it’s no good. After you’ve cut hair right for so long, there has got to be a new way to manipulate it so it looks different. It’s coming again to a time where people are dressing up. What Robert [a stylist at the show] was saying about how fashion changes, (that) fashion is definitely more sober. There are always the extremes. With everything, there is always a head and a tail. But I’m talking about the mass. We’ve got President Reagan and a First Lady now who are into big bands, dressing up, very formal occasions. Look at it in comparison to President Carter who went around in blue jean jackets. Now I see that elegance, I see a certain conservatism put with the preppy thing. You know, everyone dressing all very preppy. It’s an influence that’s happening in fashion, and of course that influences hair. So the haircuts are less flamboyant then they used to be. 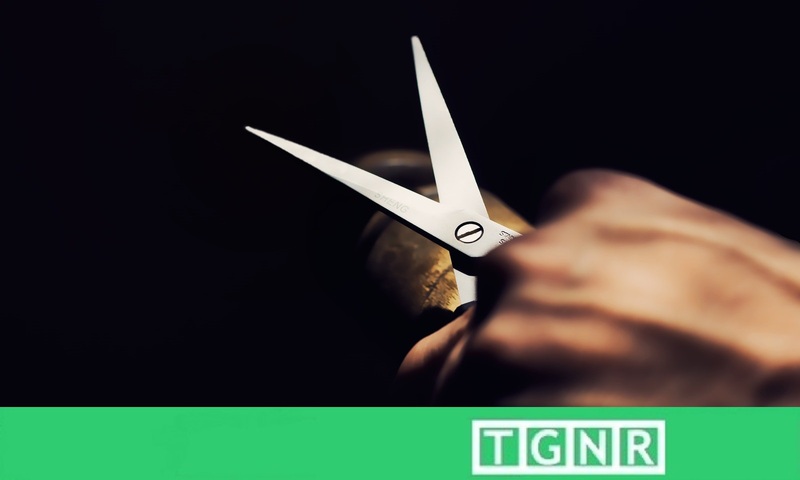 TGNR PAD: The haircuts are less important? PM: No, not less important but less flamboyant. It’s less recognizable which creates a slightly different thing about the haircuts. TGNR SK: So you do feel the public has become much more sophisticated? PM: Oh, I do… and all over the country you can get a good haircut. When I started with The Crimpers, none of my staff could leave and go to another and work for another store, because they haven’t got the work for them to do. They have no customers, because everybody else was still rolling in rollers. And the cuts were so drastically talented, and you had to blow dry, and someone had to set. You know, so it was very easy to pick ’em out. Now it’s a little different, you know what I mean? Because if you look around everybody’s got a pretty good haircut. You see some pretty bad ones too, but you’re always gonna see bad ones. Because there’s always people who are gonna pick up a pair of scissors and have a go at it. TGNR PAD: Does that mean if it’s become common place to have a designer haircut that the price will ultimately drop? PM: I think one is going to happen. TGNR PAD: In terms of formula, something new comes around, it starts off with a high price, like designer jeans start at $40. After a while they get knocked down to $25. Now, designer haircuts, they were $30. Does that mean now that it has become commonplace to have a designer haircut? Does that mean the price drops? PM: There are two things happening. The reasons are sort of simultaneous. Yes with the big chain. Hollywood Lads, and the Glembys. Those chain type operations where they take kids out of school and teach them a couple of patterns. And they stand there, and those are designer type patterns, you know? Whatever that look is, and they know them. They can cut those pretty nicely. They are more available. So there are more people doing pretty good haircuts. So therefore the price is gonna spread out, so more people can have them. When I think back to the early days of Vidal, when this look was in, if somebody came in and she was 200 pounds, and popped herself in his seat, you did that look. Okay. Of course as Sassoon became more sophisticated and more sophisticated, until we had adjusted it on people. But we were very fine hair cutters. What has happened now is there are a lot of people wanting designer cuts, and there are a lot people out of school that do a pretty good designer cut. They work in shifts, they don’t know clientele, and they just put on this one, or that one. It’s like a wig type thing, but they’re O.K. But they’re not right across the board. Those people have brought down the price of the cut. On the high end of it all like Xaviers, Yves Claudes, Davian’s, La Coup, Roger Thompson, Raymond, and Nasser. I can go on and on. John Valaria’s Downtown, if we’re just talking about New York City, they’re all highly skilled hair cutters who still get very high prices for their haircuts. Then the connoisseurs go in because they get the right NOW. When they don’t have the mass market cut on them, individually cut.